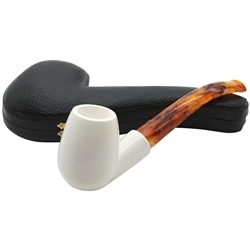 Hand Carved Billiard Smooth Meerschaum Pipe - Classic Billiard pipe offers a deep bowl and a smooth finish that is polished to a pleasing sheen. 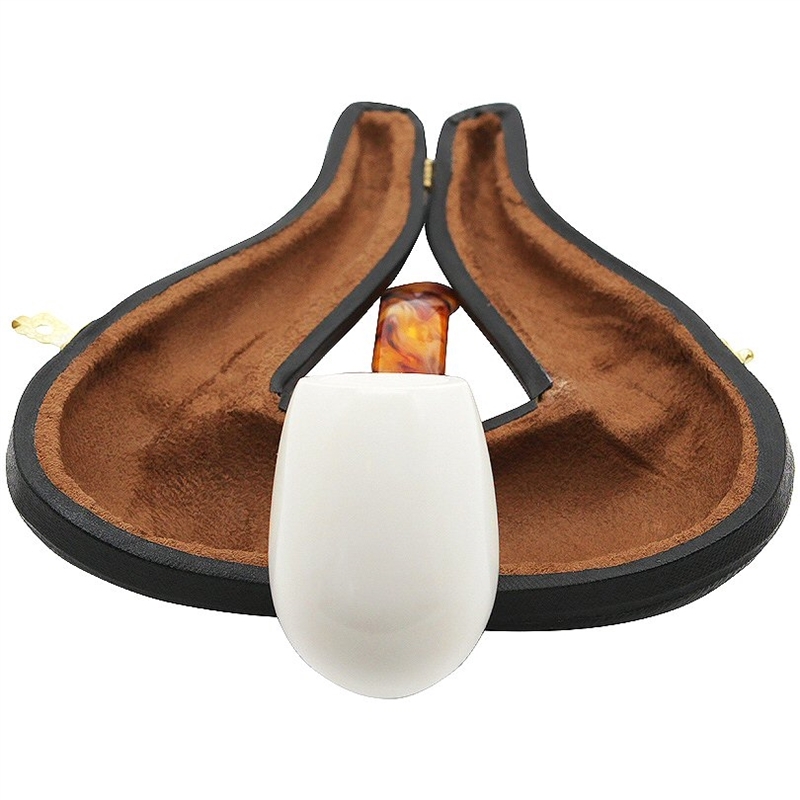 The smooth shank is slightly flared where it attaches to a colorful tiger bent stem. A great traditional pipe for a collector or pipe smoker who likes the billiard bowl style meerschaum pipe.